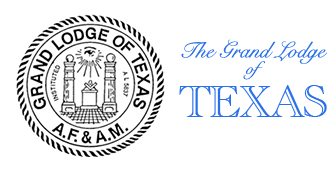 On December 7, 1972, a Waco dentist, Dr. Duncan Carnes Howard, was elected and installed as the 135th Grand Master of the Grand Lodge of Texas. The installing officer was Past Grand Master Lee Lockwood. 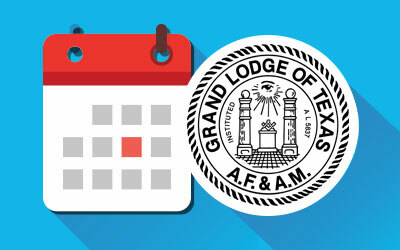 It is thought that this combination made for a “first” in Texas Masonry since Brother Lockwood is the father-in-law of the Grand Master whom he installed. The English and Scottish ancestry of Brother Howard cane to this country during the colonial period and settled in Kentucky and Tennessee and on into Texas. Duncan was born as the youngest of two sons to `V. C. and Gladys Duncan Howard. His early life was spent on a farm between Moody and Eddy. In 1939 the family moved to Waco where Duncan has become established as a permanent citizen. Brother Howard began his education in Eddy and continued it in Waco. He attended Waco High School and was outstanding in sports as well as academically. He earned a listing in Who’s Who Among High School Students in Texas. He was president of his class during his senior year and graduated as valedictorian. His pre-dental studies were completed at the University of Texas at Austin and his dental training at the Texas School of Dentistry, from which he received a Doctor of Dental Surgery. An internship was taken in general anesthesia in Baylor Hospital, Dallas, Texas. For fifteen years he specialized in dentistry for children and only began general practice when his Masonic obligations required more time than the practice of children’s dentistry would permit. In checking over the activities of Dr. Howard during his school and professional life it is evident that he has an interest in people as well as a love for his profession. He was a member of the Phi Delta Theta fraternity while in college and is a life member of the Silver Spur Service Organization and the Texas Ex-Students Association. The professional organizations cover all fields in which he has worked. They began with the Society of Dentistry for Children, Southwest Society of Pedodontics, American Academy of Pedodontics, Xi Psi Phi Professional Fraternity of which he is a life member. Through the years he has been a member of the National, State and Local Dental Societies and has been active, serving in several offices in the Central Texas Dental Socity even as its President. In addition, he is a Fellow in the Academy International of Dentistry. Dr. Howard served his country as a Captain in the United States Dental Department in the Philippine Islands. He was made an honorary member of the Philippine Dental Association in appreciation for his dental lectures to the Philippine dentists. As usual he was serving those around him in any way that he could. On June 22, 1946, Duncan married Miss Ann Marie Lockwood, the daughter of Past Grand Master and Mrs. Lee Lockwood. They had known each other since he was fourteen and went together through High School and college and were married at the end of his junior year in dental school. The Howards have two daughters, Ann Marie and Linda. Both are married, Ann Marie to a local attorney, Charles L. Cantrell. Linda is married to Rodney S. Goble, both attending Baylor University. The Cantrells have a daughter, Jennifer, making Dr. Howard a grandfather. The community and the business interests in which he has been concerned have profited by the activity and drive he has always brought into anything in which he has a part. He is a past director of the Heart of Texas Fair and Goodwill Industries; a past member of the Waco Action Committee and past vice-president of the Waco Advancement Committee. At presents he is a member of the Waco Chamber of Commerce and a Director of the Community State Bank of Waco. As is true of most well rounded men, Brother Howard is active in his church. He is a member of the Official Board of the Austin Avenue Methodist Church and a former Sunday School teacher in the Old Testament. His family has a long history of Methodist activity and his grandmother, Mrs. Florence Howard of Moody, Texas, built the first cottage-type living quarters, called the “Howard Home,” for the Methodist Orphanage in Waco. Grand Master Howard became a Mason in Fidelis Lodge No. 1127, Waco, Texas, in 1949. In 1950, he received a Certificate of Proficiency in the Esoteric Work and has continuously retained his certificate throughout the years. In 1952 he was appointed Senior Steward and progressed through the places and stations of Fidelis Lodge No. 1127, to serve as Worshipful Master in 1958-59. He also holds a dual membership in James H. Lockwood Lodge No. 1343, and was a charter member of this Lodge that was named for his wife’s grandfather. Brother Howard’s service to the Grand Lodge began with his appointment as junior Deacon in 1959, District Deputy Grand Master of Masonic District No. 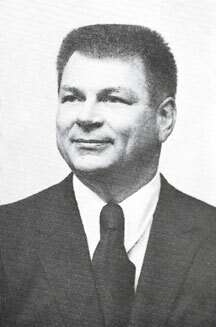 61-B in 1961 and he served on the Committee on Grand Officers’ Reports. 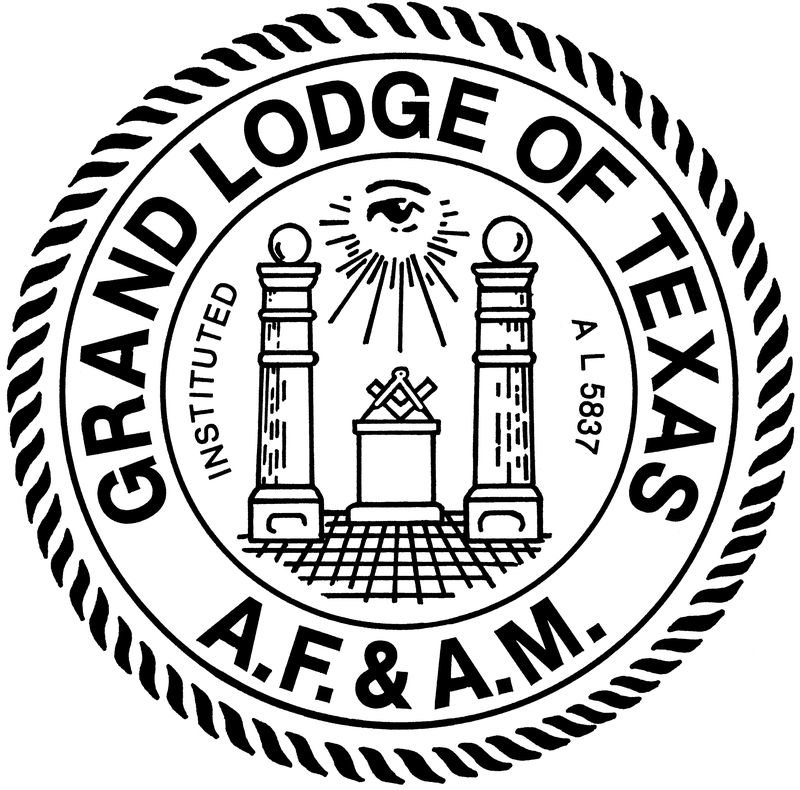 In the tradition of the Grand Lodge of Texas Brother Howard resigned from the Committee on Grand Officers Reports upon being elected to the Station of Grand Junior Warden in 1969; advanced to Grand Senior Warden in 1970, served as Deputy Grand Master in 1971 and was elevated to Grand Master for the Masonic Year 1972-1973. In addition to his Lodges, Brother Howard belongs to Waco Chanter No. 45, R.A.M., Waco Council No. 33, R. & S. M., and Waco Commandery No. 10. He became a member of the Scottish Rite Bodies in Austin, Texas, and later became charter member No. 1 in Waco Scottish Rite Bodies. He was elected Venerable Master in the Waco Lodge of Perfection, Waco, Texas, when they received their permanent charter. He was coroneted a 33° Inspector General Honorary in 1961 and is still serving in all of their activities. Additional related organizations to which Dr. Howard belongs are Karen, Shrine; National Sojourners, Inc. Heroes of 76; and DeMolay Legion of Honor, Honorary. Brother Howard is thoroughly convinced that the Masons in our generation have a greater opportunity to serve mankind than ever before and if we work together, the “Golden Years” for Masonry are still to come. Traveling from one meeting to another throughout the state and spreading his philosophy of service and cooperation he may be likened to a lamplighter. The story goes that as the lamplighter comes down the street, he climbs up the lamp post, lights the lamp, climbs down and continues down the street to the next light. He climbs up, lights the lamp and comes down and goes to the next light. As he continues down the street the evening becomes ever darker and the lamplighter ever more indistinct as he goes about his work. Finally the man cannot be seen, it is too dark. The lights that he left show clearly and it can be seen where he has been. As time passes and Brother Howard fades into the shadows the lights that he had lit will show that he passed this way.